I took this picture this morning on my walk. The tree reminded me of “PAIN” … how the branches had grown up-ward in a struggle of sort. On their own, one might consider each a wayward attempt at being a part of a strong tree. 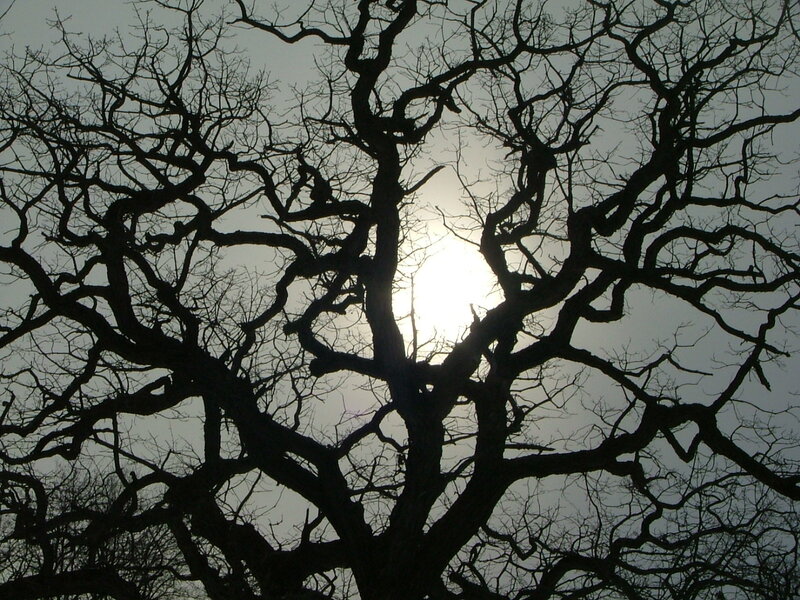 However, as the sun reflected behind the tree, the branches appeared purposeful in that setting. All the branches made perfect sense as a part of the whole. This entry was posted in Christian Poetry, Devotional and tagged Jesus Christ, light, Pain, purpose, suffering, sun. Bookmark the permalink. How beautiful our God must be, when even the glimpses He leaves behind for us are so wonderful!!! I love your blog and thoughts you share!!! blessings to you! You are right, in His creation He speaks loudly about Himself!!! How gracious of Him to reveal matters to us there … and thank you for taking the time to drop a note of encouragement … Blessings to you! Beautiful. Gods word and the image of His creation are a perfect fit every time. That passage in Romans reminds me of James 1. Both are such a great reminder that we are suffering and perusing for a purpose designed by God. What a wonderful gift! Also, I LOVE the photo!